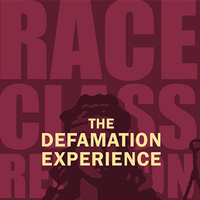 THE DEFAMATION EXPERIENCE begins with a courtroom drama that explores the highly charged issues of race, class, religion, gender and the law with a twist: the audience is the jury. Combined with an audience deliberation and a facilitated discussion THE DEFAMATION EXPERIENCE is a unique opportunity to engage in civil discourse about the most pressing social issues of our day. Free and open to the public, though registration is required. Accommodations for disabilities may be made by contacting 541-737-0724 or shelly.signs@oregonstate.edu.